Just a few years ago, anime fans could never have dreamed just how easy it would be to watch their favorite shows and find new titles to love. While bootlegging new titles has been a practice for quite a while, it’s only in the recent decade or so that we have the opportunity to watch shows legally and localized — often as they air in Japan! Anime is all over the place, too: you can binge-watch titles as part of your Netflix subscription, or hop on anime-exclusive sites like Crunchyroll for a massive back catalog of titles. So, where should you start? I’ve picked a pair of titles from each of the four big-hitter streaming sites to help you choose! One of the most familiar names in anime distribution today, Crunchyroll opened in 2006 and went fully legit in 2009. Ten years later, the site hosts hundreds of localized anime and manga, with a new slate of simulcasts every season. They’ve even co-produced series like Urahara and Kemono Friends. The title of this webcomic-turned-anime may sound like some sort of mafia drama, but it’s actually the story of a sweet middle school boy who just wants to have friends and work up the courage to ask his crush out. Oh, and he happens to be a way powerful psychic who loses control over his powers when his emotions hit max capacity. Protagonist Shigeo Kageyama — nicknamed “Mob” because of how he blends into a crowd — works after school hours for Reigen Arataka, a sham psychic. Reigen purports to have powers rivaling Mob’s and acts as his mentor despite his only real talent being lying (and badly). Nonetheless, he’s helped Mob control his powers and use them for good… and for profit. Their life of chill curse-lifting goes into overdrive when Mob discovers there are more psychics like him out there, and they’re generally inclined to use their abilities for personal gain. Mob stands by his principle to do no harm as he faces each of them… at least until his bottled-up emotions are at 100%. Then, he’s no longer in control. 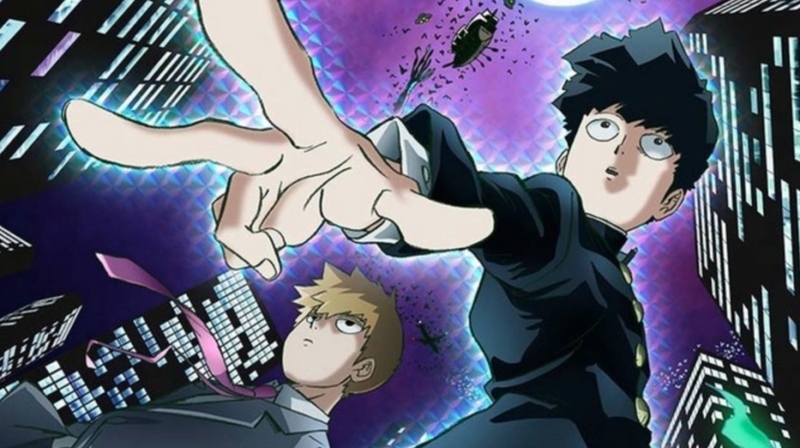 Mob Psycho 100 just finished out its second season, and a new special was just announced. Now is a great time to catch up! Zombie Land Saga was the Cloverfield of last fall’s anime season, playing coy with their advertising until the premiere. The concept of “a story where zombies save the world” was intriguing, but no one was ready for the real story: a team of undead girls becoming pop stars to liven up Saga Prefecture’s suffering economy. The seven-girl unit at the core of the story is made up of girls from across Japanese history and culture, resurrected by mysterious shouty manager Kotaro. At the forefront is Sakura, a schoolgirl with no memories of her pre-zombie life. But concerts and idol activities tug at the few memories she has left, so she forges ahead, hoping to help revitalize Saga and maybe remember who she really is. As weird as the gimmick sounds, the show is actually solid. 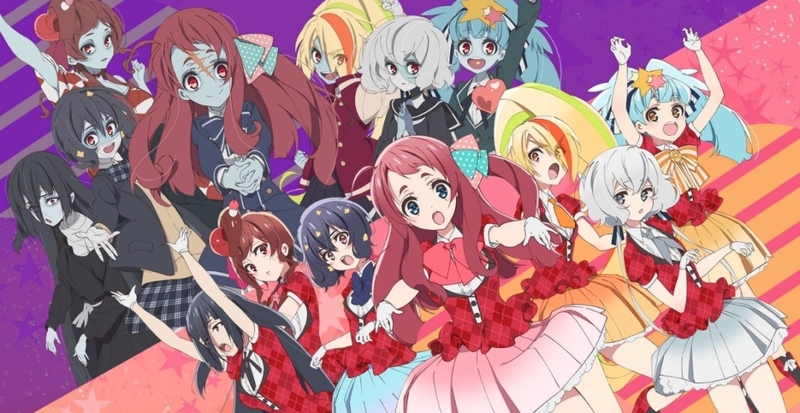 The first half of the series follows Franchouchou (the name the girls give their group) as they come to terms with their situation and become close friends. The second half focuses down into character specific episodes covering everything from changing social norms to gender identity. Plus, the voice actresses are still performing live as Franchouchou at concerts in Japan! Amazon’s streaming service toyed with the idea of an anime-specific sub-service, Anime Strike, for a little while. Now, though, you’ll find their anime offerings bundled in with the rest of their streaming options, no second subscription required. That means if you’re a Prime subscriber, you already have access to tons of awesome titles, lots of which you may not even know about. Many anime studios license their shows directly through Amazon’s Japanese server, meaning that subscribers can watch shows as soon as they come out. But for fans in North America, Amazon Prime is also a treasure trove of both lesser-known works and older, previously hard-to-find series. If you were an anime watcher in the 1980s, you may know Macross as the primary component of animated space opera Robotech. The American localization combined Macross with two other similar series, Mospeada and Southern Cross, to create a series that spanned generations of interstellar battle — and, more importantly, had enough episodes to qualify for syndication. Macross takes place largely aboard the city-sized ship of its title, which inadvertently started an intergalactic war and is now attempting to make its way back home to Earth. The people on board have their own city life, including fan clubs for local celebrity Lynn Minmay. As the crew learns more about the giant aliens named Zentradi they accidentally engaged, a love triangle unfolds between Minmay, test pilot Hikaru, and bridge officer Misa. 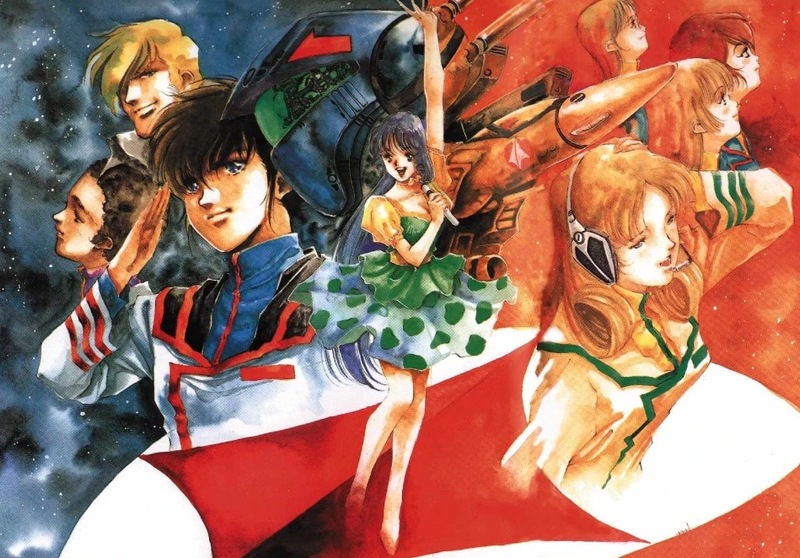 Macross and its film adaptation, Do You Remember Love?, kicked off a decades-long franchise of robots, romance, and music. The most recent series, Macross Delta, is gearing up for a new movie, and singers from across the shows will be uniting for a concert this summer. Or maybe you’re more in the mood for steampunk and zombies… but with the same art style as Macross. Kabaneri of the Iron Fortress can oblige. The 2016 series takes place during Japan’s industrial revolution, when a mysterious virus begins turning people into kabane, or walking corpses. These guys are a little tougher to defeat than their shuffling counterparts, as their hearts are encased in steel and require special weapons to pierce. To survive, humanity has built iron fortresses, along with trains running between them for supplies. Who fights the kabane? The Kabaneri — people infected by the virus who have managed to keep it from reaching their brains. Our hero Ikoma is a self-made Kabaneri, infected while testing out a new weapon. He teams up with the mysterious Mumei, another like him, and fight the infected hordes on the way to their next destination. 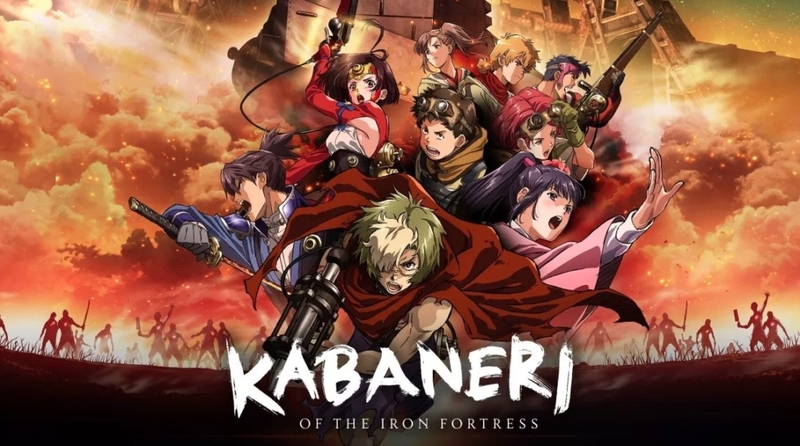 Kabaneri of the Iron Fortress sees the return of character designer Haruhiko Mikimoto, also known for Gunbuster and the aforementioned Macross. It’s an action-packed series that’s sure to feed your steampunk need, and there’s a new film coming in May! Anime localization studio Funimation recently teamed up with Hulu, meaning lots of familiar titles have moved house to the Netflix and Amazon competitor. Previously split into free and paid tiers, you’ll have to put up a little coin to watch Hulu’s offerings now. But once you do, you’ll get a lot of content — including a lot of anime. Many, if not most, of Hulu’s offerings are available across multiple platforms, with many titles shared with Amazon Prime or Netflix. 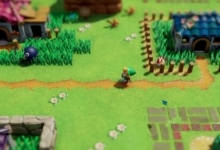 That means you’ll be able to stay in one place for a lot of big new titles, rather than subscribing to multiple platforms. But there are a pair of titles you’ll need to come straight to Hulu for. Feeling nostalgic? Lots of us started our anime lives with Sailor Moon, the 1990s adaptation of Naoko Takeuchi’s hit manga. While the North American localization altered a few things (that whole “cousins” situation, for a start), it’s still a beloved show for many. With the recent 25th anniversary of the series and the new Sailor Moon Crystal available to watch, a new dub of the original has come out. This covers all 200 episodes — all the way to the end of Sailor Stars — with no cuts made to the material. Jumping on the Sailor Moon train for the first time? It’s an easy story to follow, at least at first. Clumsy crybaby with a heart of gold Usagi discovers she’s Sailor Moon, a reincarnated soldier of love and justice. 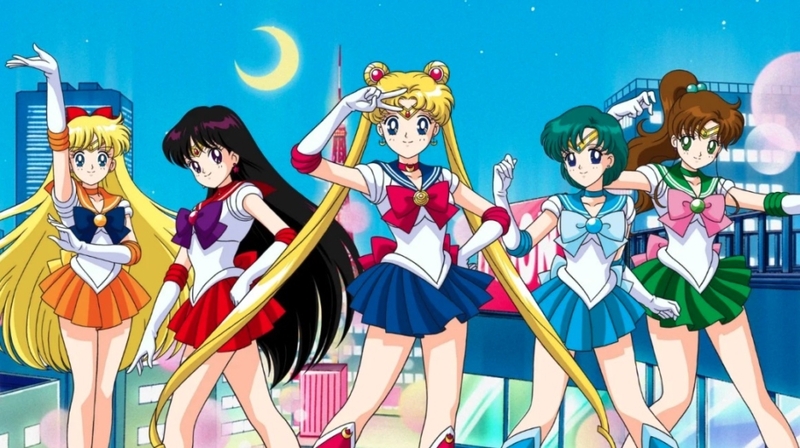 Together with her new friends (or old friends, given the whole “reincarnation” thing) the Sailor Guardians, Sailor Moon fights evil by moonlight, wins love by daylight, and eventually meets her 900-year-old daughter from the future who’s got the hots for her college-aged boyfriend. But that’s not ‘til the second season. Sailor Moon can be watched subbed or dubbed as suits your taste. Please be in a happy mood before you watch this. 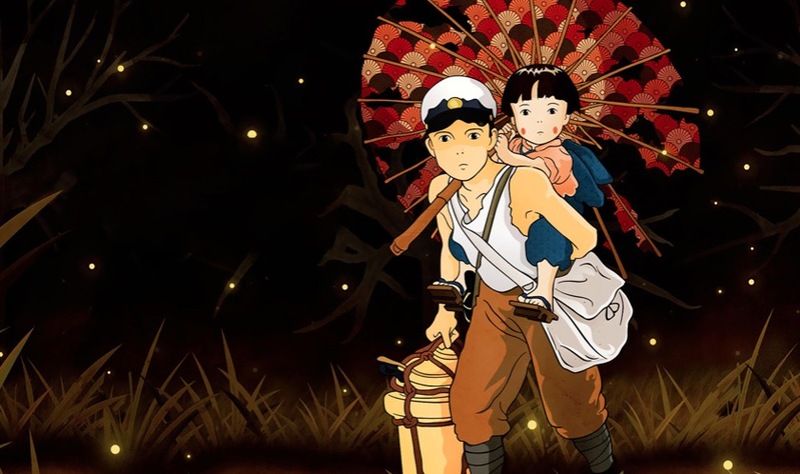 Grave of the Fireflies is a sad, stunning anti-war piece from Studio Ghibli, directed by Isao Takahata. Set in 1945, it follows a pair of young siblings as they flee their home after an Allied air raid on Kobe. The action takes them from a relative’s house to a shelter, where the pair explore the meaning of death during the final days of World War II. Their one constant companion, besides each other, is a tin of Sakuma Drops, a vintage Japanese fruit candy. The tin has become so iconic that Sakuma Candy Co. has put out Grave of the Fireflies commemorative packaging. This film is unquestionably a classic, and an important piece of work in the medium. It’s also not one to watch if you’re already feeling super weepy or depressed. But if you have Hulu access, do find the time to settle down with this one. It’s a rough, but ultimately rewarding, watch. 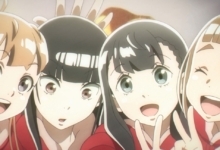 Netflix’s Western branch is working to kick things into high gear when it comes to anime — a market they’re actively attempting to corner in Japan, as well. Here’s a show for you. Stick with me here. What if dragons were planes, and they ate their pilots? And what if… no, seriously, let me finish… what if a Pokémon artist designed the characters and everything was super cute? 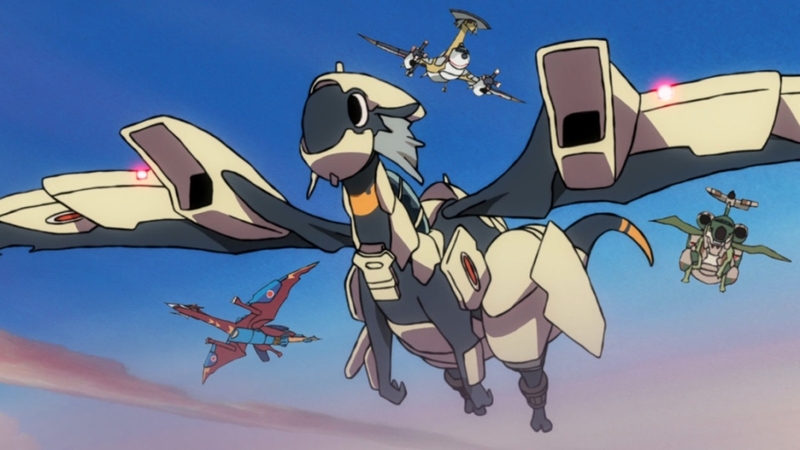 DRAGON PILOT: Hisone and Masotan is one of the stranger concepts to become an anime in recent years — but it’s also one of the most fun. Hisone joins up with Japan’s Air Self-Defense Force, looking for a career where she’ll be largely alone so her blunt way of speaking won’t inadvertently hurt anyone. 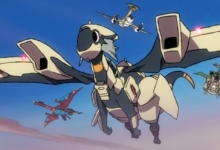 But instead of piloting a plane, she gets eaten by a dragon named Masotan. Fortunately, getting eaten by a dragon is a good thing in the world of this show, because that’s how you pilot the dragon. Yeah, that’s right. 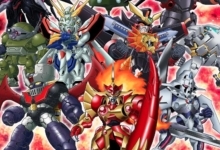 Dragons, or OTFs, in jet-shaped armor swallow their pilots and link up their thoughts. Naturally, there’s a lot more to all of this than just dragons pretending to be planes for fun. The full impact of their presence, and what Hisone is expected to be a part of, unfolds as the 12-episode series plays out. Anime and manga creator Go Nagai recently celebrated his 50th anniversary in the industry, and the occasion came along with remakes of many of his creations. Devilman, considered by Nagai himself to be his magnum opus, got a Netflix-exclusive remake in the form of DEVILMAN crybaby, directed by Masaaki Yuasa of Lu over the Wall and Kaiba fame. 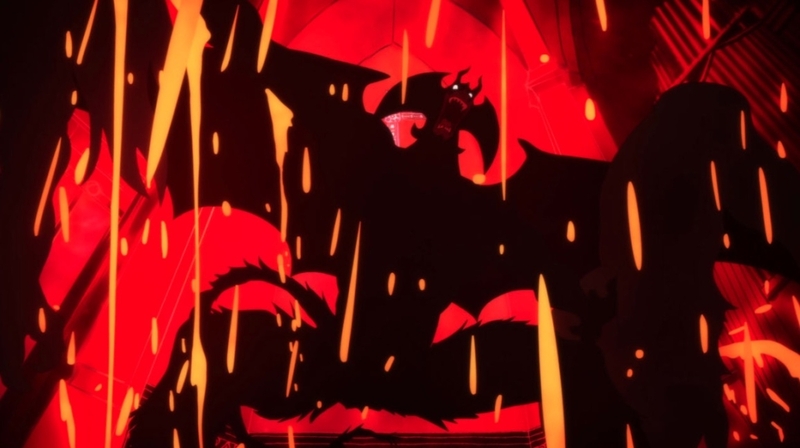 What you know of Devilman will vary based on which of the many iterations you’ve interfaced with, but DEVILMAN crybaby takes its inspiration from Nagai’s original manga rather than the Saturday morning cartoon-style anime. Emotional high schooler Akira Fudo becomes a vessel for the demon Amon, but manages to conquer the new demonic presence, becoming the hybrid being Devilman instead. Thanks to the emergence of other ancient demons in our world and the shenanigans of Akira’s friend Ryo, all hell (quite literally) breaks loose. Be warned: DEVILMAN crybaby is not for the faint of heart. If you prefer your entertainment with as little body horror as possible, maybe give this one a miss. But if that sounds like your jam, dig in. Plus, there are some awesome rap tracks courtesy of some of Japan’s best modern rappers and musicians in the mix. These are just a handful of titles available across various platforms. Many big-name titles, like Sword Art Online and Fullmetal Alchemist, are available in some form on just about every service. Multi-service sites like VRV collect up multiple outlets so you can sample from many services at once. And YouTube, VUDU, iTunes, and more have a selection of their own if you prefer to operate a la carte. One thing is clear no matter where you go, though: anime is everywhere in some form, and it’s a great time to be alive if you’re a fan. 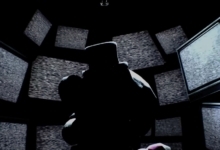 What Awaits Us in the Lore of the New Five Nights at Freddy’s?